Hello! It's time for another Fun Friday at Your Next Stamp! This month's theme is Summertime, and what's better in the hot, summer months than ice cream!!! I used this darling image called Total Sweetness~love! I colored it up with Copics and cut it out with Circle Nestabilities. I layered it over a flag that I cut with the YNS Fishtail/Banner Dies. 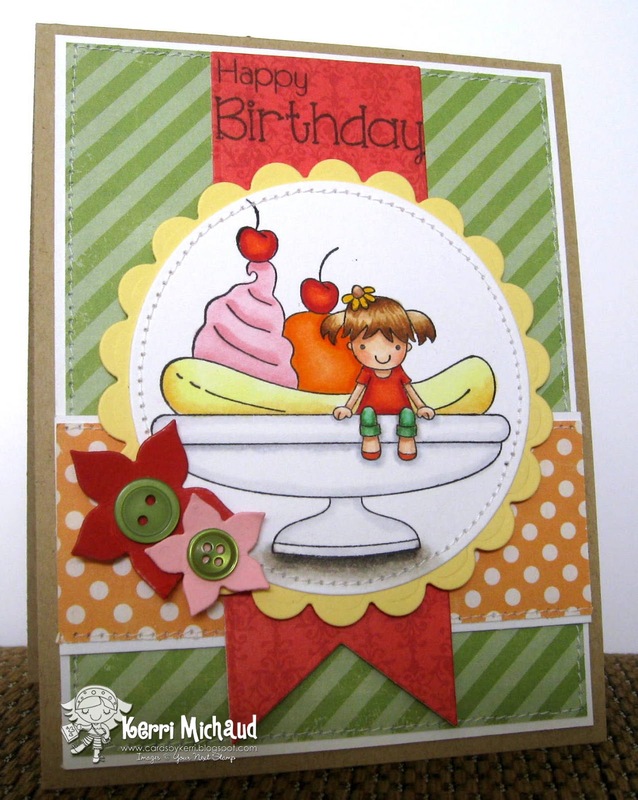 The sentiment was stamped with one of the new Clearly Your Next Stamp sets called Happy Day Sentiments. It was so easy to get perfect placement with this clear set! I also added a couple of flowers that I cut out with the Spring Garden Die Set. The dp is Echo Park Paper Co. For the Record 2. 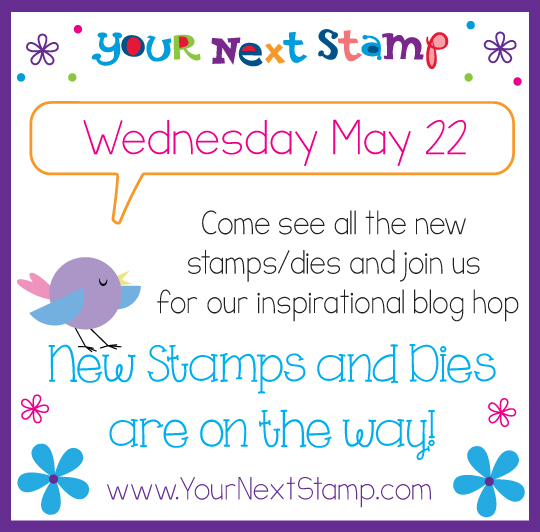 Make sure you check out the Your Next Stamp Blog to see more inspirational Summertime projects from the DT! 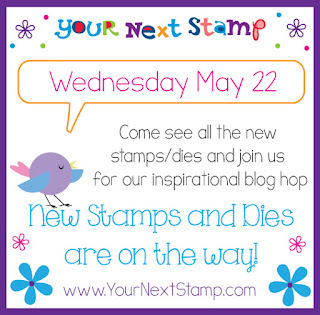 Also, get ready for some new YNS stamps and dies coming next Wednesday, the 22nd!